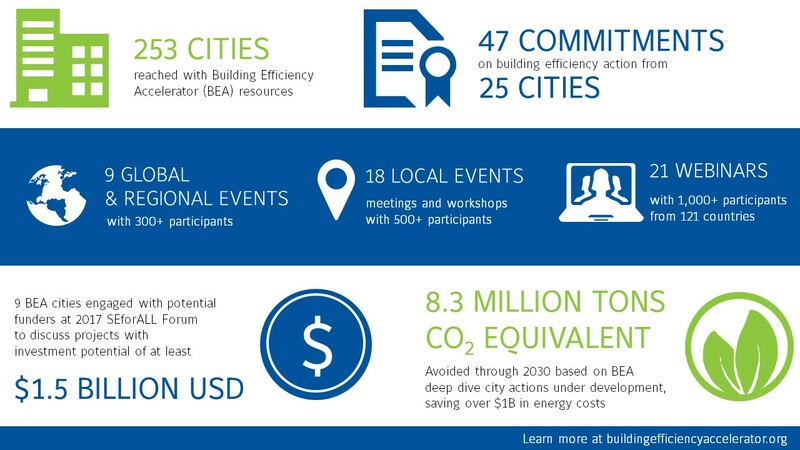 BEA global partners and cities have been busy over the last two years engaging with stakeholders,making commitments on building efficiency action, and developing implementation plans. We look forward to continuing to expand the impact of the partnership! Photo by World Green Building Council. 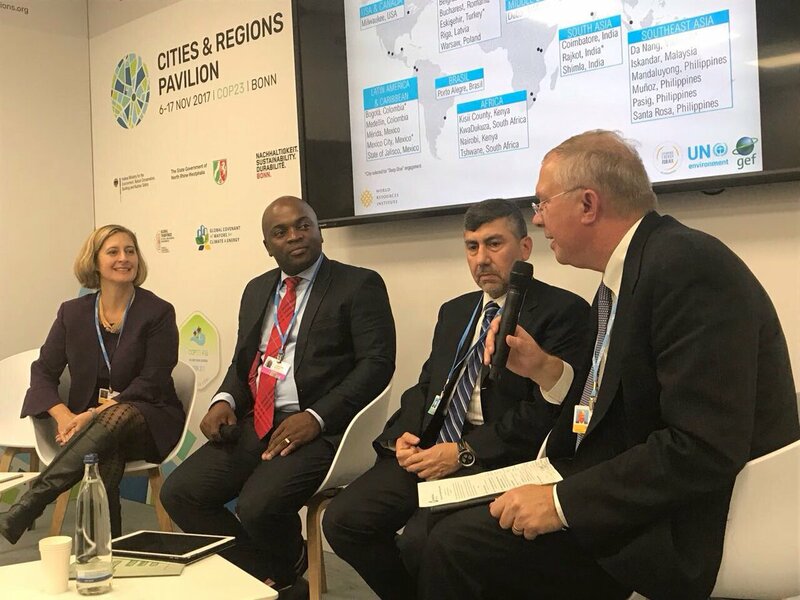 At an event in Bonn, Germany on the sidelines of this year’s UNFCCC climate talks, BEA cities shared their experiences prioritizing building efficiency actions and working towards implementation, highlighting the progress the BEA and partner cities have made over the last 2 years. 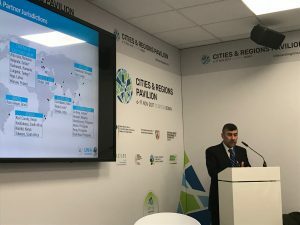 BEA global partners including the Global Environment Facility, ICLEI, Johnson Controls, and the World Resources Institute participated in the event. Councillor Solly Msimanga, Executive Mayor of City of Tshwane. Photo by WRI. 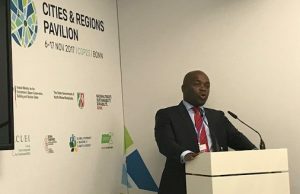 Councillor Solly Msimanga, Executive Mayor of City of Tshwane, South Africa spoke about developing Tshwane’s green building guidelines as the city’s policy commitment to the BEA, and retrofitting an 8-story building as the demonstration project. In addition, the Executive Mayor highlighted the development of Tshwane House, a newly developed green building that serves as a head office for city staff. In addition to bringing city departments together in one physical space and improving their coordination, Tshwane House has helped improve staff awareness about the multiple benefits of green buildings. Engineer Faisal Ali Rashid, Demand Side Management Director of Dubai Supreme Council of Energy. Photo by WRI. Engineer Faisal Ali Rashid, Demand Side Management Director of Dubai Supreme Council of Energy, United Arab Emirates shared Dubai’s targets for green buildings. Dubai’s Demand Side Management Strategy sets a target to improve energy efficiency 30% by 2030 compared to business as usual. 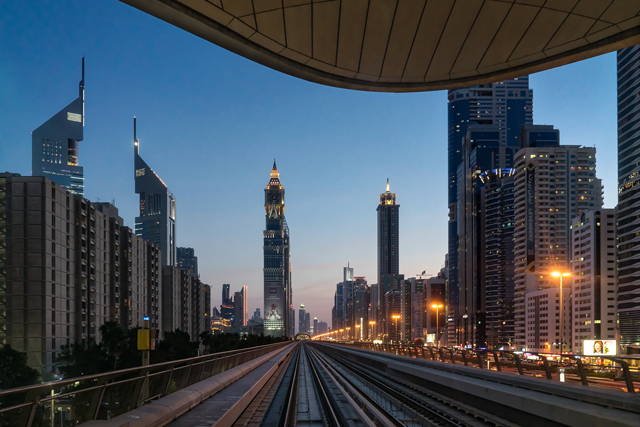 To reduce the consumption of new buildings, Dubai introduced Green Building Regulations for government buildings in 2010 that became mandatory for all buildings in 2014. To retrofit existing buildings, Dubai relies on super ESCO Etihad Energy Services. Etihad ESCO has already facilitated the retrofit of 3,000 buildings in the municipality with a goal to retrofit 30,000 buildings by 2030, or one-quarter of the existing buildings in Dubai. A new building energy efficiency ranking system, with silver, gold and platinum levels, will further motivate the adoption of green buildings. Every quarter, BEA cities report progress towards their building efficiency policy and project goals. 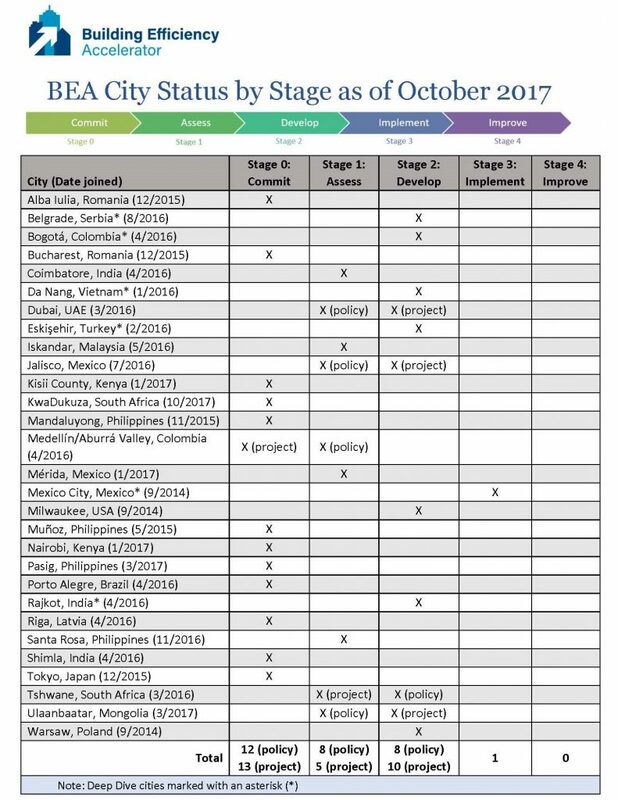 View the summary table showing what stage each BEA city is in now, or read more detailed updates from all 29 BEA cities. In 2016, Dubai joined the BEA and proposed a new policy on energy performance labels for existing buildings. The city government launched a pilot project in February 2017, led by the Emirates Green Building Council and Dubai Supreme Council of Energy, to measure the performance of 100 buildings. The World Green Building Council is a delivery partner for the BEA, supporting its Green Building Councils involved in the program. To learn more about this endeavor, the first of its kind in the UAE, we sat down with representatives of the Emirates Green Building Council—Operations Director Lora Shrake, Technical Manager Majd Fayyad and Communications Officer Maha Khogali—to gain a better understanding of the project’s progress to date and the collaborative nature of their work. In September, Belgrade, the BEA and UN Environment organized a regional building efficiency workshop with over 90 participants from cities across Eastern Europe to facilitate knowledge exchange including technical assistance, financing models, policies and programs. HRH Crown Prince Alexander gave a keynote address and participants shared experiences and solutions for accelerating building efficiency and finance. Read more about results from the workshop, and read a summary of the panel discussions. © 2019 Building Efficiency Accelerator.